Decided to change my moodboard & mixtape post this week so I could participate in 'life as we know it's Moodboard Monday link up. The theme this week is florals and my board is also a little bit inspired by last weekend being my last working at the Mexican this summer. The stall is decorated by loads of fake flowers and we wear flower crowns so I thought this was quite apt. 1. Pretty fake flower wall adornments in a children's bedroom. Found on interior design blog apartment therapy, excited for my flat mate to come back so we can start deciding how we're going to decorate our place! 2. For Christmas I got The Liberty Book of Home Sewing which is a beautifully put together compendium of sewing projects. 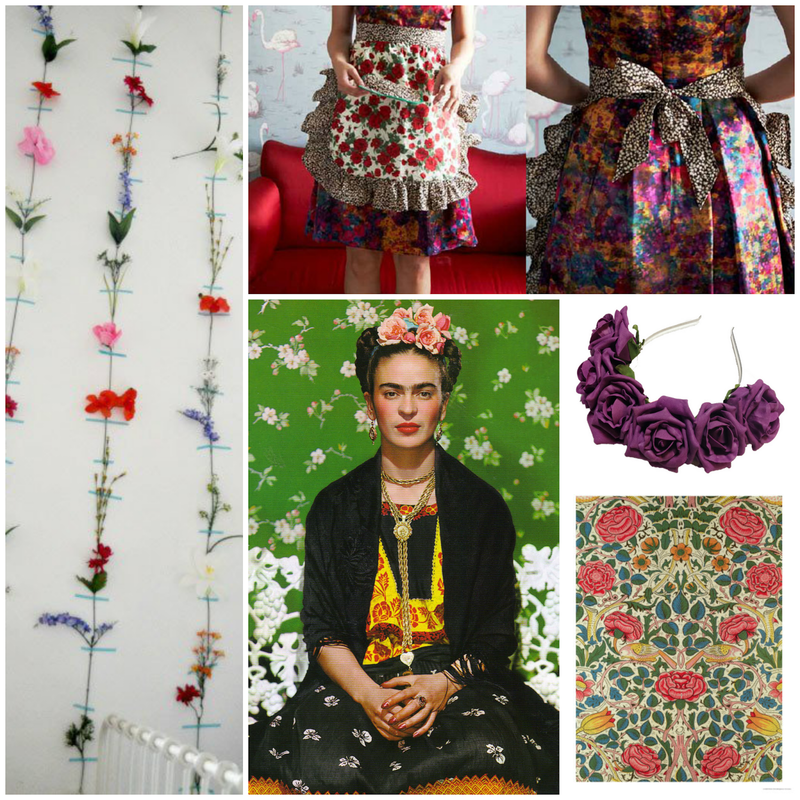 As of yet I have not done any of them but I'm really keen to make this gorgeous 1950's style piny as a present for the people who runs the Mexican stall for having me this summer. It should fit in wonderfully with the big box of mismatched vintage aprons they already have! 3. Floral crown from Wildflower Crowns in the sumptuous 'Wild Violet' colour... I want to wear everything in this colour. 4. A beautiful pattern of roses by one of my favourite flowery artists and God of wallpaper William Morris. You can actually buy this print too. 5. Last but not least the wonderful Mexican artist Frida Kahlo (who's look I have been attempting and failing to channel all summer) just chilling with flowers in her hair and in her home. Once quoted: “I paint flowers so they will not die.” Picture found at Red Milk Magazine. 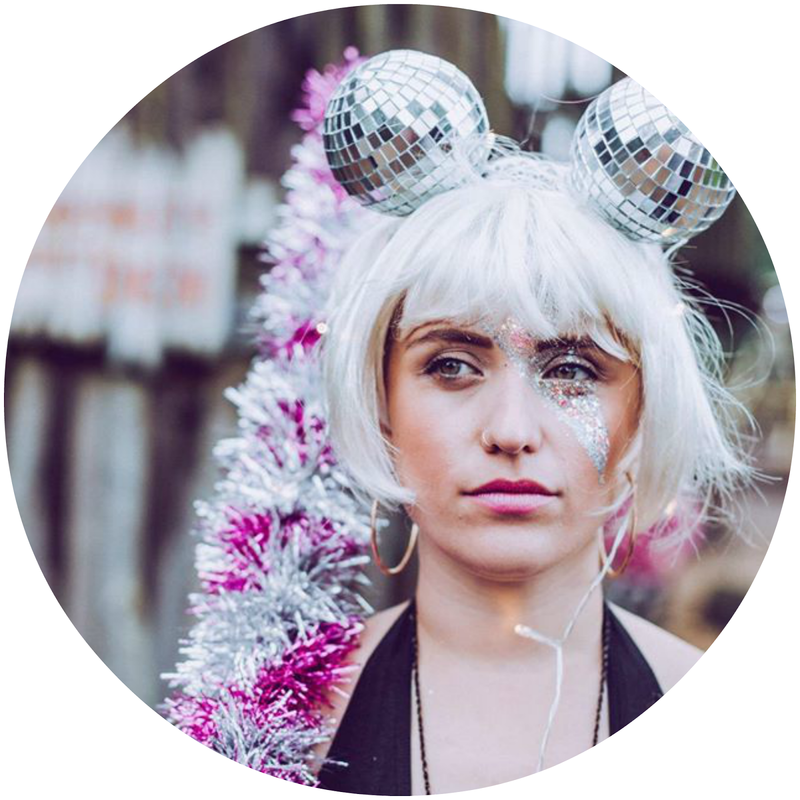 Come and join in with Moodboard Monday :) Next week's theme is geometric. That picture of Frida Kahlo is so iconic! It perfectly embodies the floral theme. Thanks for playing along this week. Loving the fake flowers taped to the wall...what a fun idea! Cheers, Lis. 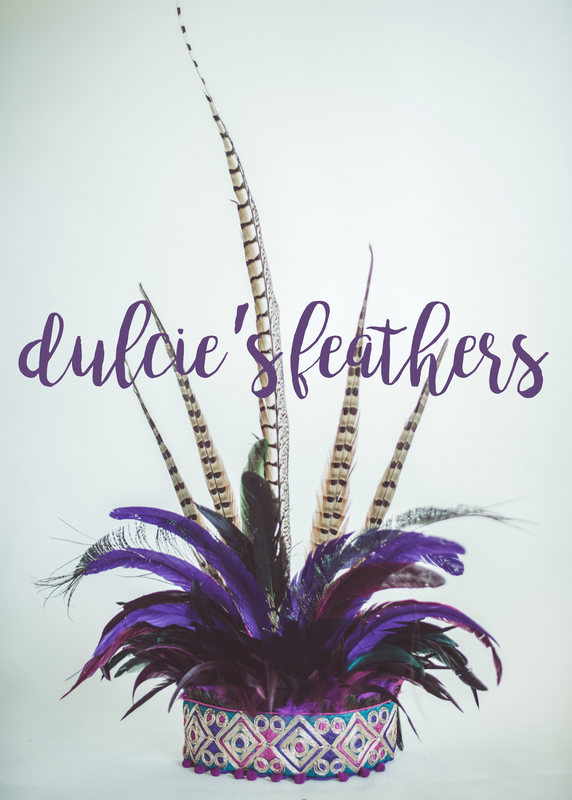 Dulcie's Feathers - birds of paradise!